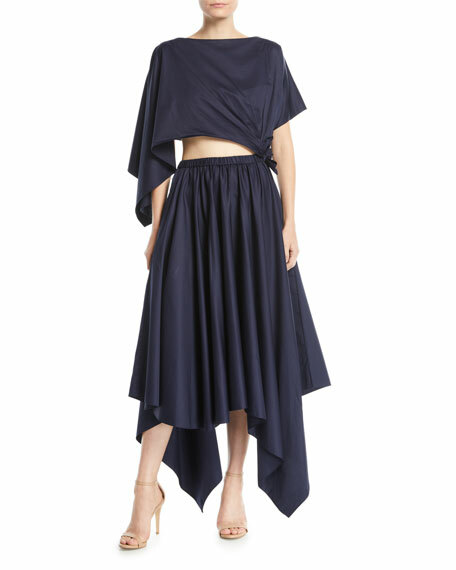 Rosie Assoulin two-piece dress in cotton poplin. Top can detach from skirt and worn as separates. Midriff opening; ties at side. 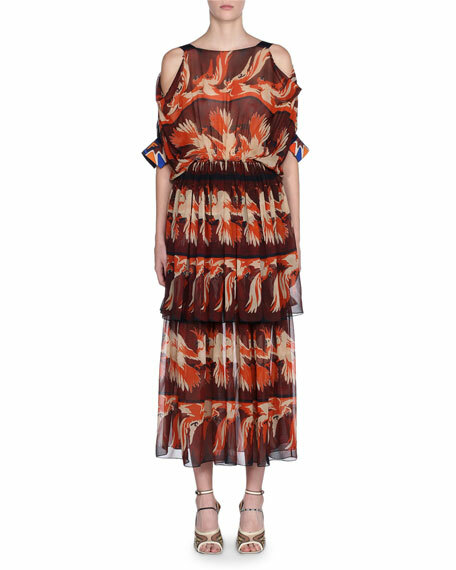 Fendi dress in macaw print silk georgette. Crew neckline; cold shoulders. Short sleeves; embroidered cuffs. Blouson bodice; cinched waist. Softly pleated, tiered skirt. A-line silhouette. Midi length. Silk. Made in Italy. 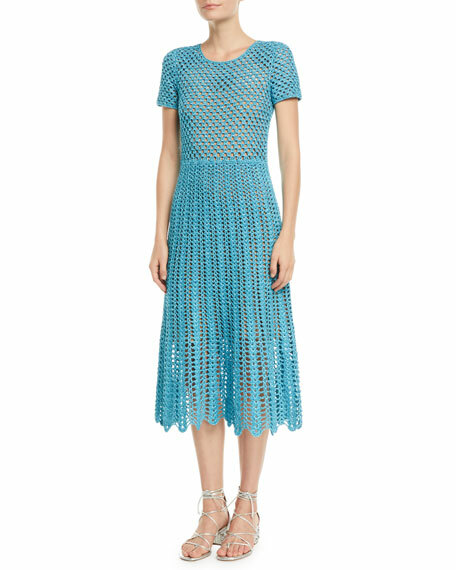 Michael Kors daytime dress in metallic-shaker crochet knit. Crew neckline. Short sleeves. A-line silhouette. Midi length. Pullover style. Scalloped hem. Metallic polyester/nylon. Imported of Italian materials. 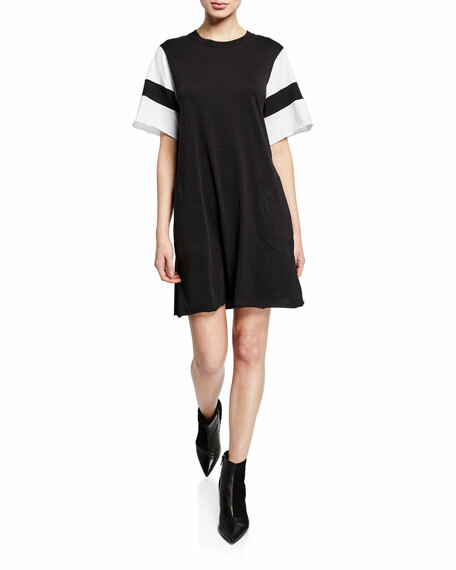 Opening Ceremony cotton T-shirt dress featuring elastic-logo accents. Crew neckline. Short sleeves; contrast scallop cuffs. Flared silhouette. Pullover style. Ruffle hem. Cotton. Machine wash. Made in Portugal.